This is October's IWSG post! 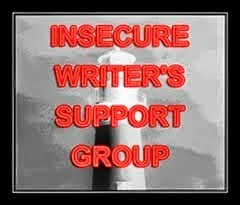 The IWSG posts every first Wednesday to discuss our neurotic, needy writing problems among others like us, led by our ninja captain Alex J. Cavanagh. Sign up here! October's co-hosts are: TB Markinson,Tamara Narayan, Shannon Lawrence, Stephanie Faris, and Eva E. Solar! I have two questions this time around. I'm hoping people will chime in. 1. I'm working on a short story right now. I haven't really written one since... well, the very beginnings of Book the First. What's the upper word count limit of a short story? 2. 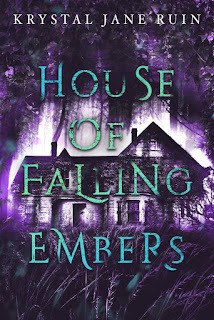 I keep wondering how to reach readers--I check my Amazon stats once or twice a week and sometimes there will be pages read or a download here or there. 15 people have added it to their Goodreads shelves, but...for future reference, how do you all reach readers? I seem to have the knack of reaching other writers. But we can't necessarily market to writers, can we? However, in rather exciting news, I recently received my first royalty payment from Amazon, where Pearl is currently enrolled in Kindle Select. I can afford a pizza! Or put a decent amount on my MetroCard. Or get food at Chipotle and still have another twenty leftover. In other words, it's a modest amount, but still...it means that something paid me for my writing and that's exciting no matter what. The general guideline I follow: flash fiction 100-1500/short 1500-7500/novelette 7.5-20k/novella 20-50k. I'm sure I found this on the internet at one time or other. Although there may be many ways to find an audience, I think book bloggers that post about your genre, and have review policies are the best bet. Everyone seems to have different word counts, so figured I'd ask and see what the group had to say. Thanks! Congratulations on the royalty payment! Unfortunately, on word counts, each publication has a different definition. Many say up to 10,000. Many say up to 8,000. Some want no more than 4000. I just try to write the story and see where it comes out naturally, then find a market that agrees that's a short story. Thank you! And good point. I think I'm about hallway through the story and it's just under 5,000 right now, so I guess I'll finish it and see where I can trim. Hi Michelle! I couldn't resist downloading your book. It looks so interesting! So there's one for IWSG. Hope you do n't have to wait too long for a royalty payment! Now short story lengths vary for different publications. I write a lot of shorts. Flash fiction is under 1,000. Short stories can be 1,000-15,000, but usually with a top limit of 5,000-7,000, sometimes 10,000. A novelette is 15,000-25,000 which is where the novella begins. All fun! Some publishers call 50,000 the top end of a novella! So I say check your market or publisher before you go cutting too much. Kindle Shorts will tell you how many words they like. Thank you so much, Denise! And thanks for the info. I think 10K might be enough for this one. As for question 1: 10k would be starting to stretch it, 15k would take you more into novella territory. But it depends what you're wanting to do with it. If you want to submit it to an anthology or magazine, they usually look for shorts around 5k-7k. And question 2: If anyone had a definitive answer to this, they'd be a millionaire! There is so much advice out there, but the internet changes so rapidly that what worked yesterday, might not work today. 1 - Get your Amazon keywords right to get you into categories with lower competition. 2 - Get a mailing list and concentrate on getting sign ups; these are the people most likely to read your next book. 3 - Write more books. Turning a one-time reader into a long-term fan relies on them having more of your stuff to read. In the meantime, enjoy that pizza! It's going into an anthology being complied by a friend. I think 10K might be about the sweet spot. Thanks so much Angeline! Yes, I bet that feeling is SO AMAZING. Would love to have that one day! I squeed. Lol. It came out to $30 because there was a small payment from Amazon UK added onto whatever I got from American Amazon. Congrats on the royalty payment! I've enjoyed the varied responses to your questions... we learn something new every day. Yay!! Any royalty payment is better than none! Reaching readers definitely takes a long time, much longer than it took to write the book. Stay diligent and patient and if your marketing isn't producing results don't be afraid to try something else. Thank you Doreen! I'm not *too* worried about the reaching readers thing--it took me a while to connect to other writers, so readers will take longer. Plus, it's only the first published book! Yay to the first check! And the answers on here are really interesting. . .because I am as clueless as you. that's the million dollar question - how to reach your readers. No advice here. I'm still working on it. I think *everyone* is working on it! Bet it feels awesome to have all that hard work start to pay off! I'm really happy for you!